Unfortunately Rockstar Games isn’t immune to launch day issues, though they are certainly fairing much better than certain other memorable launches. The Social Club launcher seems to be the focus of those issues, and of course there’s the issue we’ve covered regarding non-standard characters. Thankfully Rockstar has already done a great job of documenting and helping to resolve those issues. Here’s a small compendium of those fixes. GTA V issues and fixes, with a few command lines sprinkled in just for fun. Use the Task Manager and make sure GTA V and the launcher isn’t running, close those processes down. Make sure that you have proper administrative rights, as you’ll need those. You might have to right click and use “Run as Administrator” to run the Social Club installer. Install the Social Club with admin rights. The installer can be found here. That may not do it, either. So if you still have issues with the launcher, then let’s do one more thing. Clear the Steam cache. Make sure Steam is running. Click on the Library section. Right-click on GTA V and select the Properties option. Click the local files tab, which should be in the middle. Click the “Verify Integrity of Game Cache…” button on the bottom. 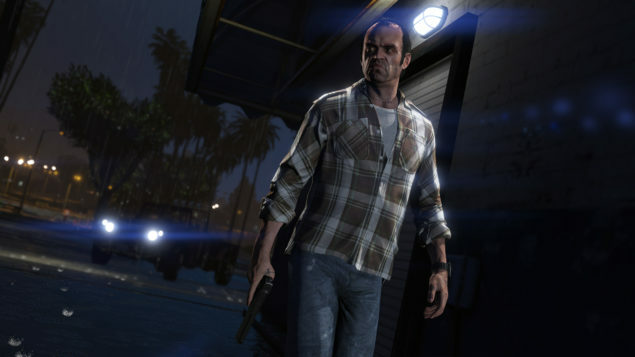 It also might help to ensure that GTA V itself is being run with administrative rights as well. Navigate to the GTA V PC directory. Right-click on the “PlayGTAV.exe” program. Apparently Windows Media Player is actually required to play GTA V. If, like me, you’ve chosen to get rid of it in favor of a number of better alternatives, then you’ll have to re-install it in order to even install GTA V.
To do so, just complete the following steps. Click on the “Programs” button, on the bottom left. Select “Turn Windows Features On or Off” from the choices. Navigate down to the “Media Features” in the window that should have popped-up, expand that and select “Windows Media Player”. Click “OK” and it should install. After that, continue your installation of GTA V and you should be all set. Rockstar has seen fit to allow you to run scripts while loading the game, allowing you to fix or modify certain settings to help with other game related issues, or to benchmark the game. To use those command line arguments, just create a new text document named “commandline.txt” and place it in the root game folder. Then place the commands listed below in there if they suit you. Sets the keyboard layout to the specified region. If present the game will automatically launch into the multiplayer game in freemode. If you guys and gals out there happen to benchmark this beauty of a game, go ahead and let us know the specs, settings and results in the comments. We’d love to hear from you and see how it runs on a variety of hardware.